While silver Britannia has always offered beauty and reliability it now also gives you 0.999 purity. The legendary figure of Britannia has symbolised Britain’s strength and integrity on coinage since Roman times. Little wonder then that the silver Britannia, with such a depth of history behind it, has been a popular choice with bullion investors ever since its introduction in 1997. This new specification combined with its tradition and integrity gives new life for today’s investment customer. 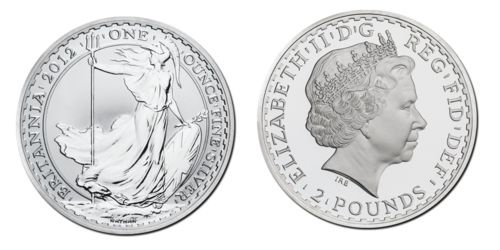 The 2013 Britannia Silver Bullion coin contains one ounce of 0.999 fine silver and measures an impressive 38.61mm in diameter. Coins are designed for mass storage and safe transit with new tube packaging from November 2012 providing exceptional convenience for all silver bullion coin buyers. The 2013 UK Britannia Silver Bullion coin features Philip Nathan’s original, breathtaking portrait of Britannia framed in a crenellated border unique to Britannia coins. The figure of Britannia has long been a symbol of British national pride. This classic design is instantly recognised across the world as a timeless image of strength, grace and protection. The obverse of each 2013 Britannia Silver Bullion coin bears the current portrait of the Queen by Ian Rank-Broadley FRBS. 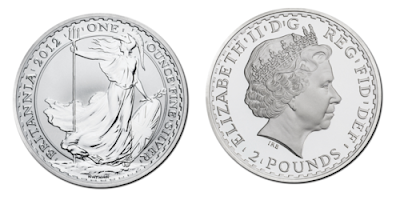 The 2013 UK Britannia Silver Bullion Coin has an unlimited mintage. Coins are designed for mass storage with new tube packaging from November 2012 providing exceptional convenience for all silver bullion coin buyers. Silver Britannias are packaged with 20 coins per tube, 25 tubes per box.